ABC has ordered a six-episode first season of the new Greatest Hits TV show. Greatest Hits is an unscripted singing show hosted by Arsenio Hall and Kelsea Ballerini. With iconic music artists and current chart-toppers performing hits from the 1980s, 1990s and 2000s, each episode will be devoted to a a five-year time span and feature duets, tributes and solo performances. Greatest Hits is produced by AEG Ehrlich Ventures. Ken Ehrlich, James McKinlay and Raj Kapoor will serve as executive producers. Greatest Hits premieres Thursday, June 30, 2016 at 9:00pm ET/PT on ABC. ABC announced today a new music series “Greatest Hits.” Each episode will highlight a five-year period celebrating the biggest hits from that time, hosted by Arsenio Hall and Kelsea Ballerini. Each week, iconic music artists, as well as today’s music chart-toppers, will take the stage and perform the songs that defined the 1980s, 1990s and 2000s. The six-episode series will feature special solo performances, never-before-seen duets and incredible tributes on “Greatest Hits,” premiering THURSDAY, JUNE 30 (9:00-10:00 p.m. EDT), on the ABC Television Network. In 1987, he served as interim host on “The Late Show,” and on the strength of his work, he was signed to a film and television deal with Paramount Pictures, which subsequently led to the opportunity to co-write and co-star in the hit comedy “Coming to America.” On January 3, 1989, “The Arsenio Hall Show” made its debut, providing a forum for cutting edge comedy and politics, and the television debut of such pop superstars as Mariah Carey, Snoop Doggy Dogg, Boyz II Men and countless others. He resigned from the late-night gabfest in 1994 to pursue other personal and professional interests. In 1998, Arsenio joined the cast of the CBS’s “Martial Law.” He followed this up with a two-season stint as host of CBS’s new “Star Search,” and then, taking on his most challenging task to date, he returned to stand-up comedy and toured for the first time in over a decade. In 2010, Arsenio was featured in the HBO sports documentary “Magic & Bird: A Courtship of Rivals,” A&E’s documentary special “The Battle For Late Night.” In 2012, he was featured in the NBA Entertainment documentary “The Announcement.” Arsenio was also featured as a “Guest Mentor” on the OWN Network’s “Your OWN Show,” as well as appearing as guest host on “Access Hollywood LIVE!,” CNN’s “Piers Morgan Tonight” and “The View.” On May 20, 2012, Arsenio was crowned the “Celebrity Apprentice” on NBC. He returned to late-night television as executive producer and host of the CBS/Tribune Broadcasting nationally syndicated “The Arsenio Hall Show,” which aired during the 2013- 2014 season. Most recently, he appeared on the PBS special “Eddie Murphy: The Kennedy Center Mark Twain Prize,” which aired in November, 2015. Arsenio also appeared in a recurring role on season 4 of BET’s “Real Husbands of Hollywood” and served as host of the prestigious 2016 BET HONORS special. He is also enjoying a triumphant return to his first love of stand-up comedy, performing at venues across the country. Kelsea Ballerini launched to stardom with two consecutive GOLD-certified #1 smashes – “Love Me Like You Mean It” and follow-up “Dibs” – from her critically-acclaimed debut album “The First Time.” The Black River Entertainment recording artist is the first solo female artist in 15 years to hit #1 with her first two country singles and one of only 11 women to have ever hit the top of the charts with a debut. Her third single, “Peter Pan,” is currently flying up the country radio charts. Abuzz with high-profile media looks, she has been named “The Country Sweetheart” in People Magazine’s elite “Ones to Watch” portfolio, touted by Billboard Magazine as “Country’s Next Queen,” praised by Rolling Stone as the “Nashville It Girl” and selected as one of CMT’s Next Women of Country. The talented singer/songwriter’s credit is featured on all 12 songs on her debut. Racking up the accolades, she received Billboard’s “Rising Star” award at the prestigious 2015 Women In Music event and recently earned her first-ever ACM Award win for 2016 New Female Vocalist of the Year, the fan-voted Radio Disney Music Award for The Freshest – Best New Artist (all genre) and the American Country Countdown Award (ACCA) for Breakthrough Female of the Year. Having shared the stage with Alan Jackson, Lady Antebellum, Tim McGraw, Carrie Underwood and Keith Urban, Ballerini recently performed at the Country CMC Rocks Festival in Australia and will join select dates with Billy Currington this spring and Rascal Flatts this summer. For more than 40 years, no individual has produced more music related and non-traditional programming for television, as well as single and multi-artist and concept specials for network, cable, syndication and home video programming than Ken Ehrlich. With hundreds of hours of highly acclaimed specials to his credit, from the annual GRAMMY(R) Awards, which he has produced since 1980, to a yearly slate of award shows including five years of producing the Emmy Awards show, Ehrlich’s credits are unmatched. What do you think? Is Greatest Hits music to your ears? Do you plan to watch the series premiere? 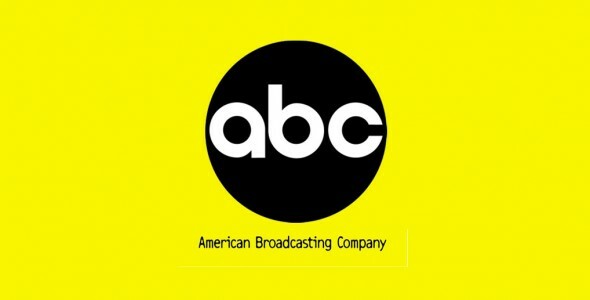 More about: ABC TV shows: canceled or renewed?, Greatest Hits, Greatest Hits: canceled or renewed?